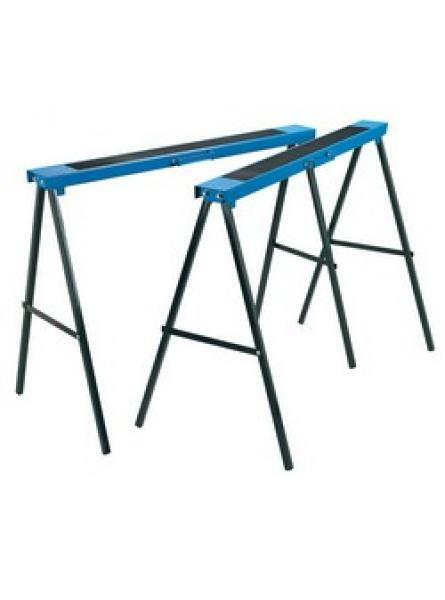 Pair of trestles for supporting large workpieces, doors, etc. Pressed steel with anti-slip mat on .. 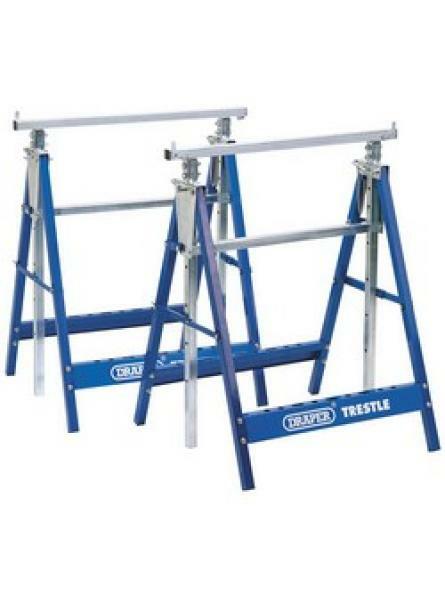 Heavy-duty telescopic trestles (saw horses), fitted with height adjusting locking bars. Fabricated.. 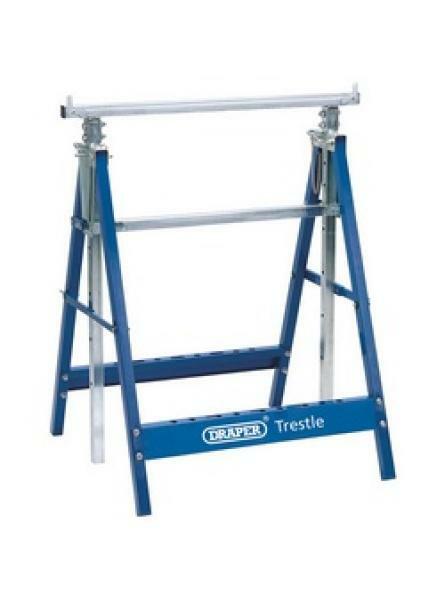 Heavy-duty telescopic trestle (saw horse), fitted with height adjusting locking bars. Fabricated f..